Proteins are important nutrient components that are made of essential and non-essential amino acids which provide energy to the body. Protein controls many important metabolism functions in the body and is a fundamental component of all living cells. Proteins are essential building blocks that contribute to the growth and development of muscles, bones, ligaments and tissue. Protein is found throughout the body i.e. in muscle, bone, skin, hair, and virtually every other body part or tissue. It makes up the enzymes that power many chemical reactions and the hemoglobin that carries oxygen in your blood. At least 10,000 different proteins make you what you are and maintain you that way. The Recommended Dietary Allowance for protein is 0.8 gram per kilogram for adults. Pregnant and lactating women require 70 grams of protein per day. Active and elderly people require more than the RDA for adults i.e. more than 0.8 grams per kilogram. Protein malnutrition leads to the condition known as kwashiorkor. Protein deficiency can lead to loss of muscle tissues, a weak heart, weak immunity and even death in extreme cases. Our bodies get proteins from the protein rich foods that we take. . There are a number of food sources that provide proteins in ample amounts. These choices include meats, dairy products, fruits, vegetables and nuts. However Vegetarians need to be aware that vegetables, fruits, nuts and legumes are not perfect sources of protein as they lack in one or more amino acids that are needed for the creation of proteins. So for those who don’t eat meat, fish, poultry, eggs, or dairy products need to eat a variety of protein-containing foods each day in order to get all the amino acids needed to make new protein. Some high-protein rich foods are healthier than others because of what comes along with the protein: healthy fats or harmful ones, beneficial fiber or hidden salt. It’s this protein package that’s likely to make a difference for health. are good choices for disease prevention may also help with weight control. Here is a list of high protein rich foods and their nutritional content. All this protein rich foods are high in protein and are listed with how much protein they contain. 1. Bananas: They are one of the healthiest fruits and contain 4 grams of protein per 100 grams. They help in constipation problem and dry skin treatment. 2. Blueberries: They contain 0.50 grams of proteins and 1 bowl of blueberries will yield you 1.10 grams of proteins. 3. Tofu: They are rich in magnesium, iron and other essential nutrients. Like other soy foods, tofu reduces heart diseases by lowering bad cholesterol and promotes good cholesterol. 140 grams of tofu contains 11 grams of proteins. 4. Mangosteen: It has a high content of vitamin A and vitamin C as well as iron, calcium and potassium. This fruit is a moderate source of B-complex vitamins such as thiamine, niacin and folates. It is used for its therapeutic qualities. This unique purple colored fruit contains 0.5 grams of protein per 100 grams. 5. Soy Milk: This milk is great option for vegetarians to get their good dose of proteins. 8 ounces of soy milk contains 7 grams of proteins. 7. Apples: Apples can be consumed in both raw and cooked form, with or without skin and contains a range of health benefits. 2 medium sized apples give around 0.60 grams of protein. When served in slices with skin, it yields 0.30 grams of proteins. 8. Coconut: Coconut water and coconut pulp contains very high level of nutrition. Coconut water contains an array of health benefits . Coconut milk is also rich in proteins and healthy fats. 9. Sweet corn: It is a good source of antioxidants and contains ample amounts of Vitamin B complex like thiamine, niacin, Folate. Per serving of sweet corn contains 3mg of protein. 10. Brussels Sprouts: Brussels sprouts come packed with vitamins, minerals, fiber and proteins. 1 cup cooked and boiled Brussels sprouts comes with 4 grams of proteins. These sprouts also contain some essential organic compounds which have potent anti-cancer properties. In conclusion, a balanced diet includes proper portions of not just protein, but should have a perfect proportion of vitamins, minerals, and carbohydrates too. 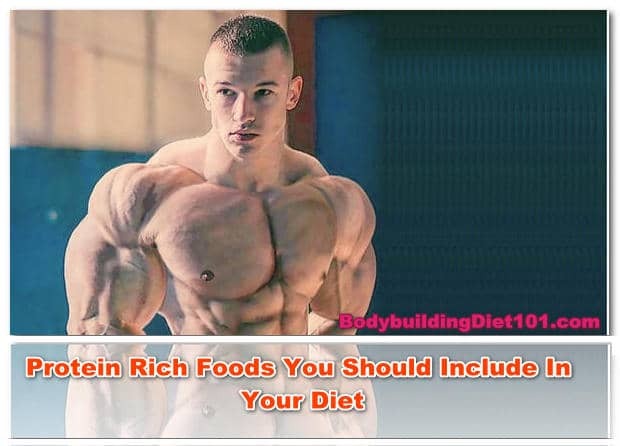 Include at least some of the above mentioned food in your diet which combined with other important nutrients will yield positive and healthy results.